Tangerine Hot Power Yoga cranks up the heat and cranks out the results. This Brooklyn-based yoga studio’s class temperatures hover around 95 degrees and 40 percent humidity, but unlike the New York summer heat index this mirrors, Brooklynites will actually look forward to this intense sweat sesh. Tangerine offers a welcoming environment and loads of amenities, including fresh towels, non-slip Manduka yoga mats and even a help-yourself fruit bowl. Tangerine makes yogis of all experience levels feel right at home, helping students modify poses in their vinyasa flow when need be, and hosting a number of events throughout the year to bring the community even closer. Why We Love It: We absolutely love getting a sweat sesh on with a smile in this chic,eco-friendly Brooklyn studio! 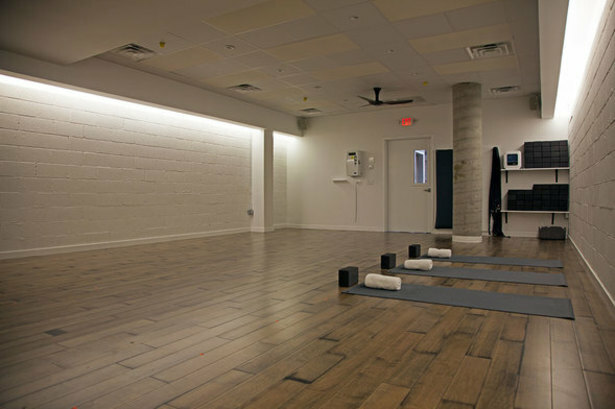 The heated workout is intense, but not at the expense of the environment: Tangerine uses energy efficient Radiant Heating Panels that simulate heat from the sun to warm their classes to balmy perfection. Why It's So Effective: Yoga tones and strengthens the body, increases flexibility and promotes mental and emotional well-being. The hot yoga setting at Tangerine elevates the heart rate, helps students work out with deeper poses, and amps up the detox through increased sweating. Know Before You Go: Prepare to sweat by hydrating throughout the day, bringing your own water bottle and wearing moisture-wicking clothing. Mats and towels are provided free of charge at the studio. Don't Miss: Join the Tangerine community at the multiple events and workshops offered by the studio. More information can be found on the Tangerine events page. Added Bonus: In addition to their 60- and 75-minute Hot Power Flow classes, Tangerine features a run club. 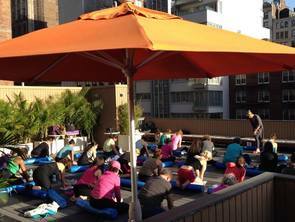 Run club sessions are Tuesdays at 7:00 PM, and lead right into an 8:00 PM hot power yoga class.